CAOLAN BYRNE will be appearing in both parts of The Miniaturist airing over Christmas on BBC One, playing the confectioner Arnoud Maakvrede. Based on the bestselling novel by Jessie Burton, episode one will air at 9pm on Tuesday 26 December with the second episode going out on the 27th. DOUG RAO is about to reprise a role in Casualty, neurosurgeon Mr Zaman. Doug worked with director Tracey Larcombe in October and now working with Amanda Mealing. AMIE BURNS WALKER has recently finished filming an episode of Casualty. She plays PC Jane Lorne in a story directed by Judith Dine. CAOLAN BYRNE plays Culhane in three episodes of the reboot of the comedy series Porridge, currently showing on BBC One on Friday evenings. Caolan's episodes air from Friday 27 October and all episodes are currently available on BBC iPlayer. JASPER JACOB is shortly going to be playing the Worshipful Master of the Masons, Bruce, in two episodes of White Gold. The BBC Two comedy, which is also on Netflix, is produced by Phil Gilbert and directed by Damon Beesley. MARCUS GRIFFITHS, having recently played an American golfer in Father Brown, is now playing fictional political activist Marcus X in an episode of the fifth series of Endeavour. The story is being directed by Robert Quinn, with Neil Duncan producing for Mammoth Screen. SOLOMON ISRAEL will be appearing in Doctor Who on the evening of Saturday 3 June on BBC One. He will play the character of Richard in an episode called The Lie of the Land directed by Wayne Yip. Look out for COLIN RYAN playing the role of Harry in Doctor Who on Saturday May 6th, airing at 7.20pm on BBC One. The episode was directed by Bill Anderson with David Suchet guest starring. Having just completed three episodes of the BBC's Porridge reboot, CAOLAN BYRNE is now working on all three episodes of The Miniaturist, playing the role of Arnaud. The serial is adapted from the best selling novel by Jessie Burton set in 17th century Amsterdam, and is directed by Guillem Morales for BBC One. Look out for SEAN KINGSLEY playing Alan in the musical film London Road which can be seen on BBC iPlayer at present. The film is based on the National Theatre production which was also directed by Rufus Norris. Playwright Alecky Blythe worked with composer Adam Cork after recording interviews with residents of Ipswich who had been affected by a series of murders in 2006. SOLOMON ISRAEL will soon be joining the cast of Doctor Who to shoot an episode at their production base near Cardiff. The story is being directed by Wayne Yip. Catch PEPTER LUNKUSE in the BBC daytime drama Father Brown on Tuesday 17 January. The episode will air at 2.45pm on BBC One and is called The Tanganyika Green. Pepter will soon be going on tour with Nell Gwynn, a co-production between Shakespeare's Globe and English Touring Theatre which follows the show's runs at the Globe and in the West End. 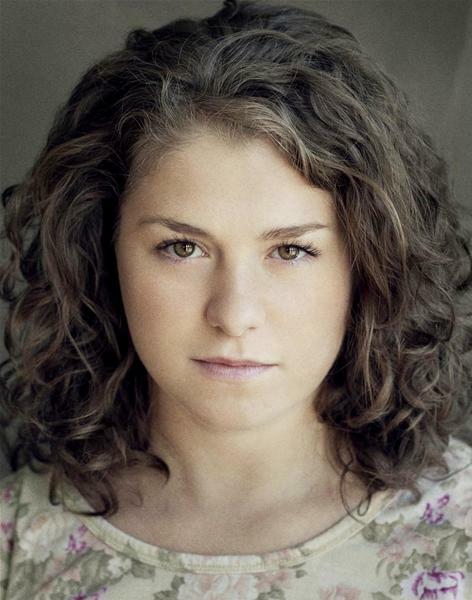 Pepter will be playing Rose Gwynn in the tour which opens at the Lowry in Salford in February and closes with a two week run at the Globe in May. PEPTER LUNKUSE can be seen on Christmas Day playing Cordelia in the filmed version of King Lear originally staged at Manchester's Royal Exchange Theatre. The production airs at 7pm on BBC Four and stars Don Warrington. JESSICA BAGLOW is now working on Apostasy, a feature film backed by the BBC and the BFI which is shooting near Manchester. The movie is set in a Jehovah's Witness community and is being directed by Dan Kokotajlo. We are pleased that COLIN RYAN will soon be filming an episode of Doctor Who in Cardiff. Bill Anderson will direct the episode which will be in the show's 11th series since its reboot. PEPTER LUNKUSE will shortly be going to the Cotswolds to film on the BBC series Father Brown. She will be directed by Paul Gibson in an episode entitled The Tanganyika Green. Don't miss The Musketeers on Saturday 2 July which features ROSS O'HENNESSY playing Barbier in an episode directed by Roger Goldby. The fifth story in the third and final series airs on BBC One at 8.30pm. CHRIS WALLER is currently shooting two episodes of Eastenders at Borehamwood, directed by Ian White. His character, gang member Neil, will appear in another two episodes over the next few weeks. Be sure to watch MARCUS GRIFFITHS in new French series Versailles which begins on Wednesday 1 June at 9.30pm on BBC Two. Marcus has a great guest lead in Episode 3 (15 June) playing the African prince Annaba. The series, which has already got a certain notoriety in Britain, first aired in France a few months ago.